but there is so much more to do. . .
Asiya's Story | PCFU 2016. 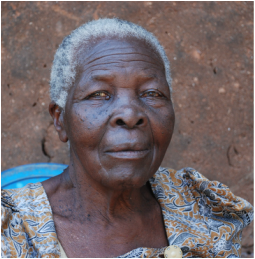 The donations to Palliative Care For Uganda are used solely for the local organization, delivery, and maintenance of the palliative care programs based at rural hospitals and clinics. This includes providing medical supplies, education, and support of personnel as well as setting up self-sustaining programs to reduce the suffering of people in these Ugandan communities and villages. No donated money is used for the administrative and marketing expenses of the charity. 100% of donated money goes directly to the care of these people.